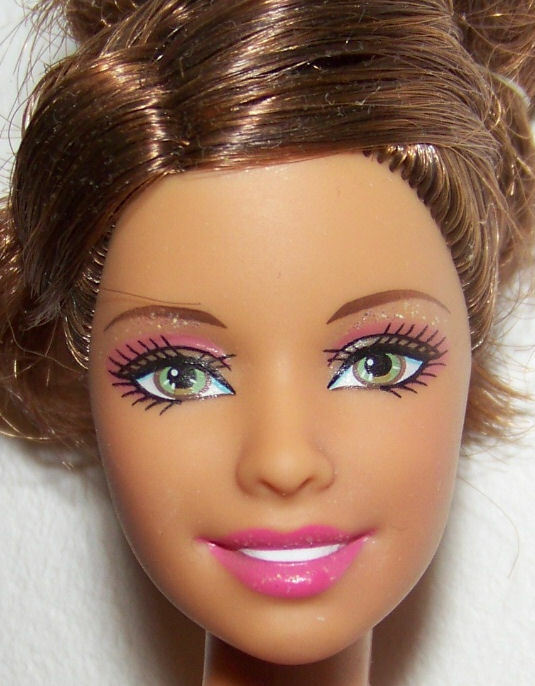 Use nail scissors or sewing scissors to trim the eyelashes down to a slanting shape – no longer than 3mm at the shortest part (so it will look like eyeliner not lashes at certain angles). 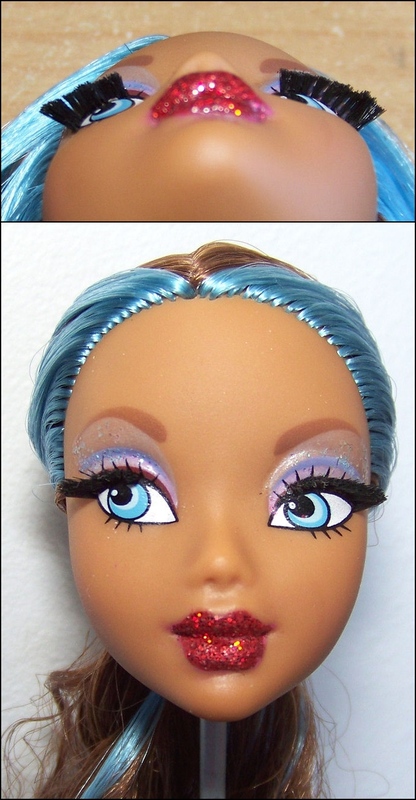 Model: Myscene Madison custom “Blue Moon” who’s going to get a boil perm soon. 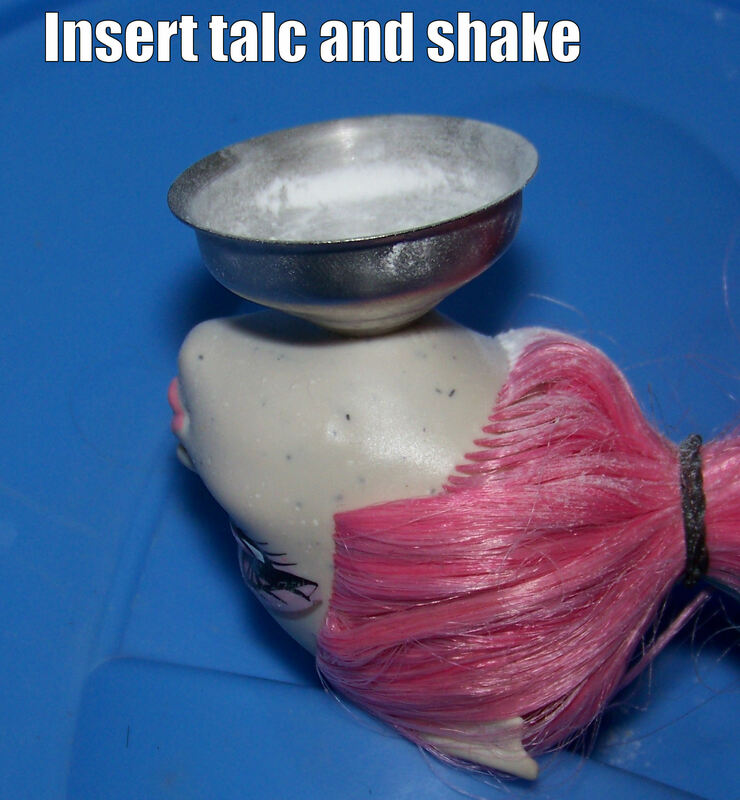 Sorry about the sloppy photos, it’s just to show the technique. 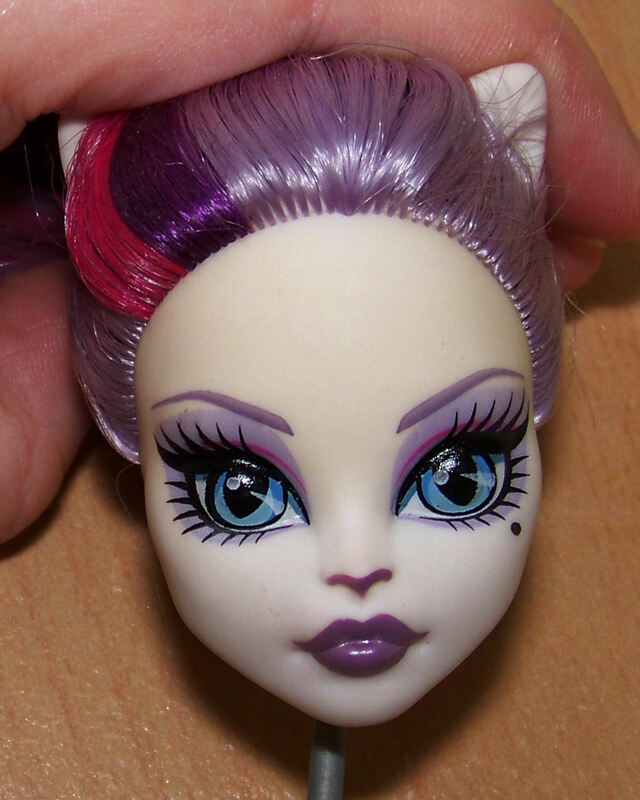 She had a wonky eye placement and the eyelashes are meant to minimise that. 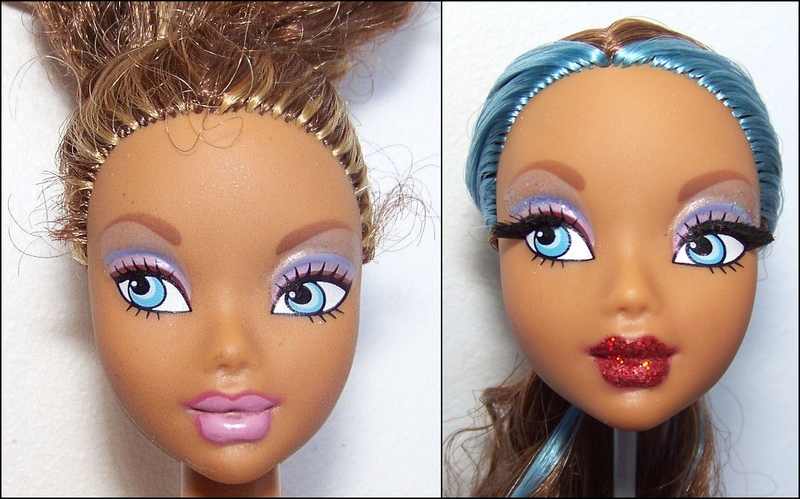 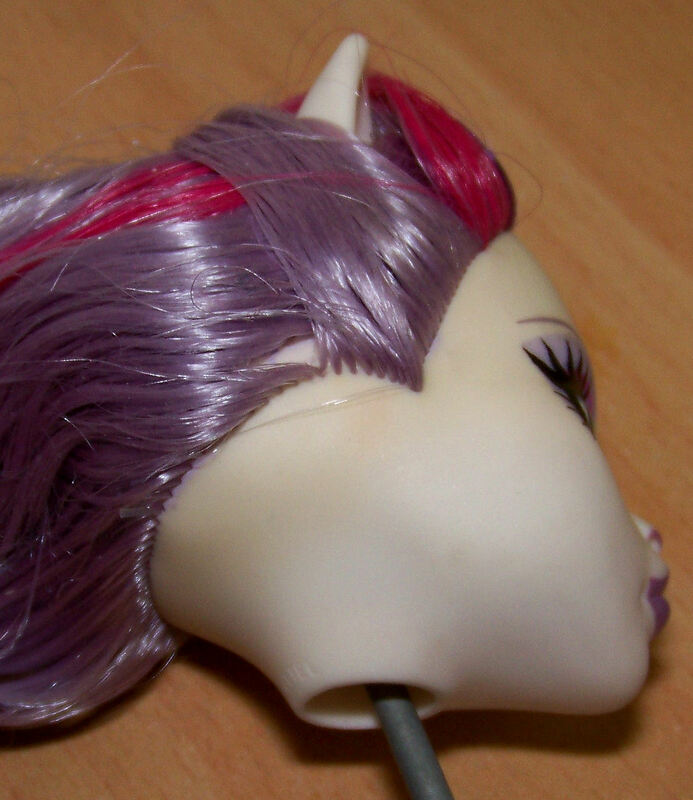 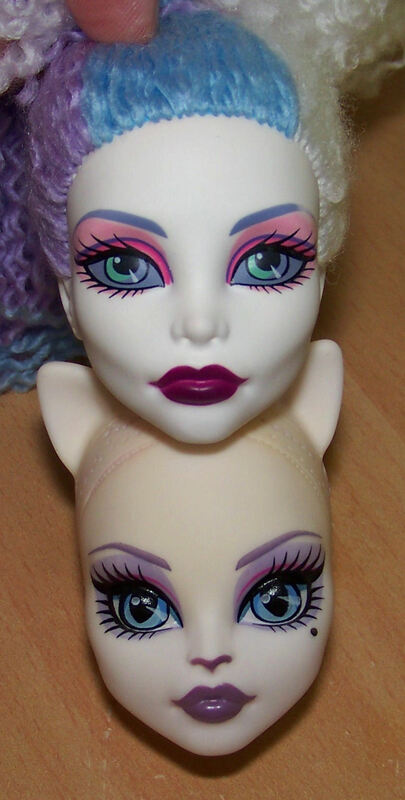 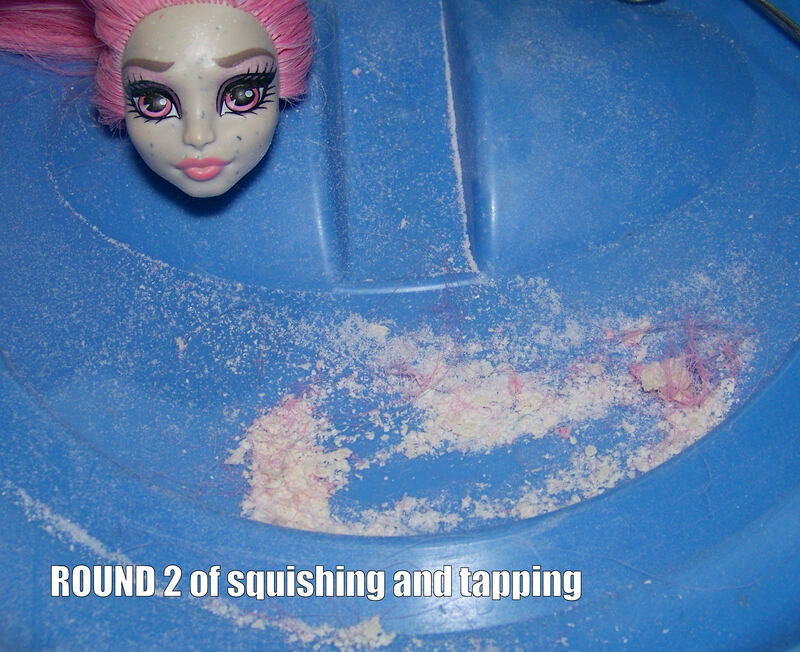 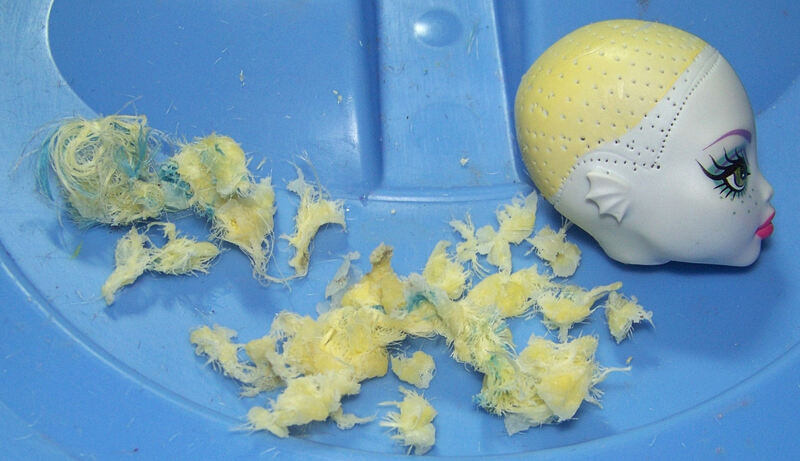 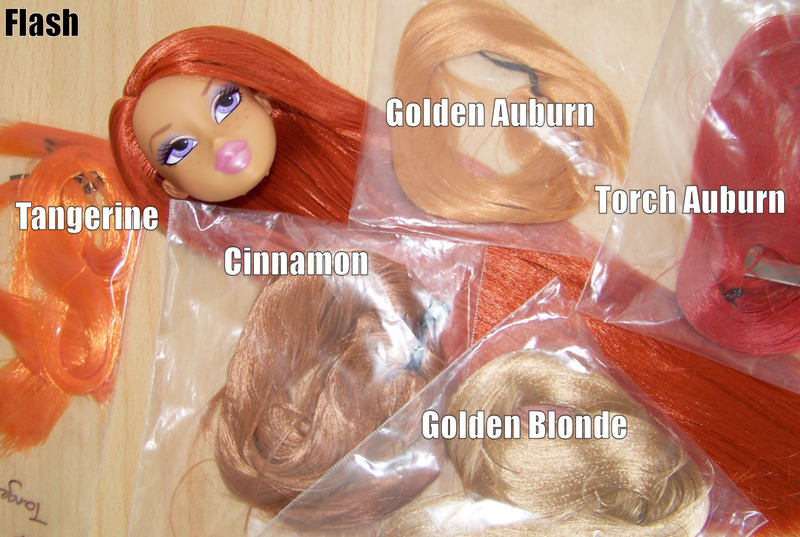 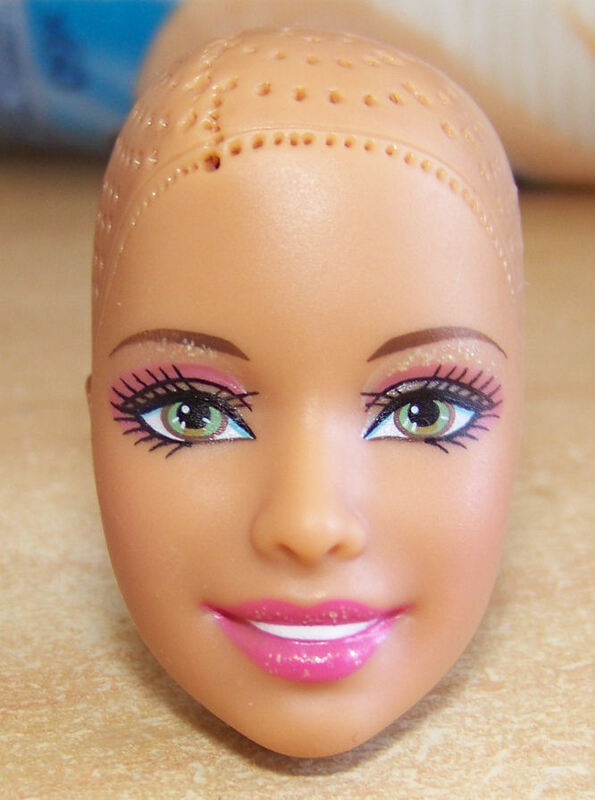 This entry was posted in Tutorials and tagged barbie, bratz, hair, reroot, rerooting on October 24, 2012 by saffy. 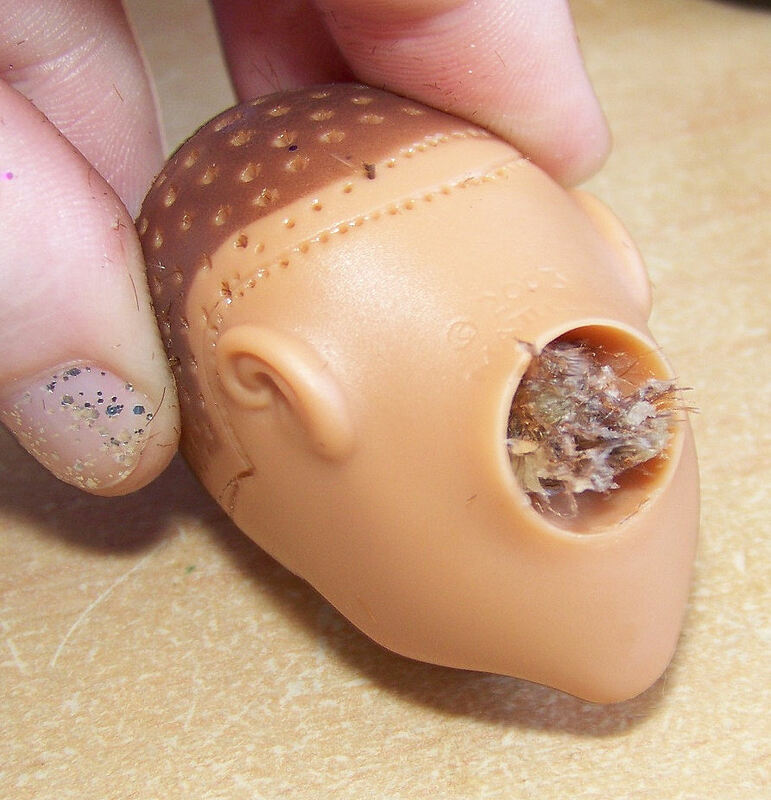 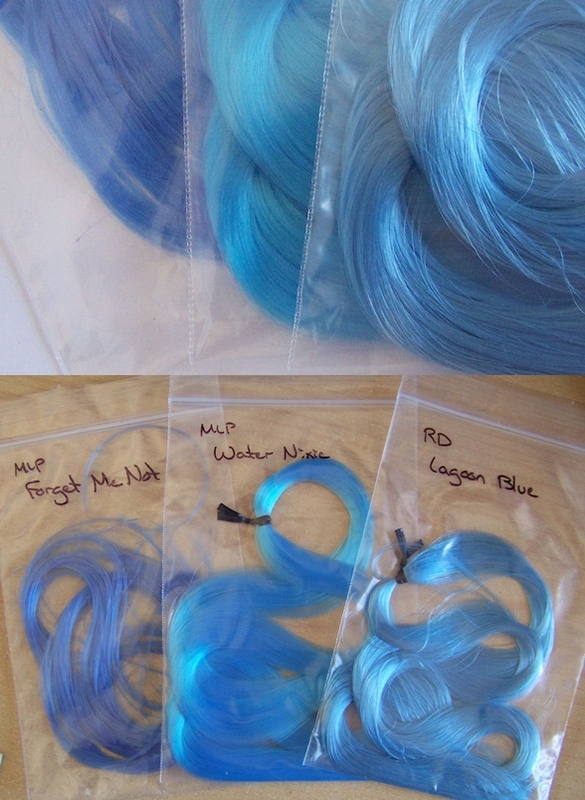 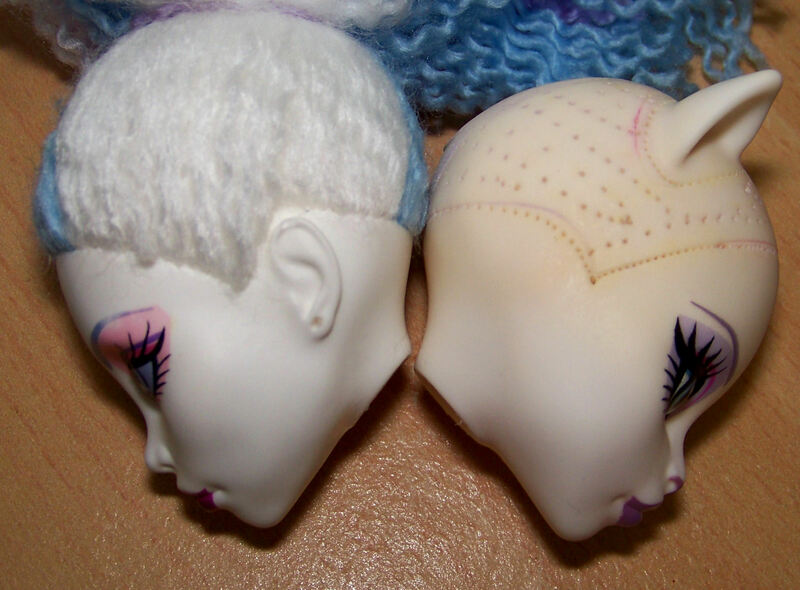 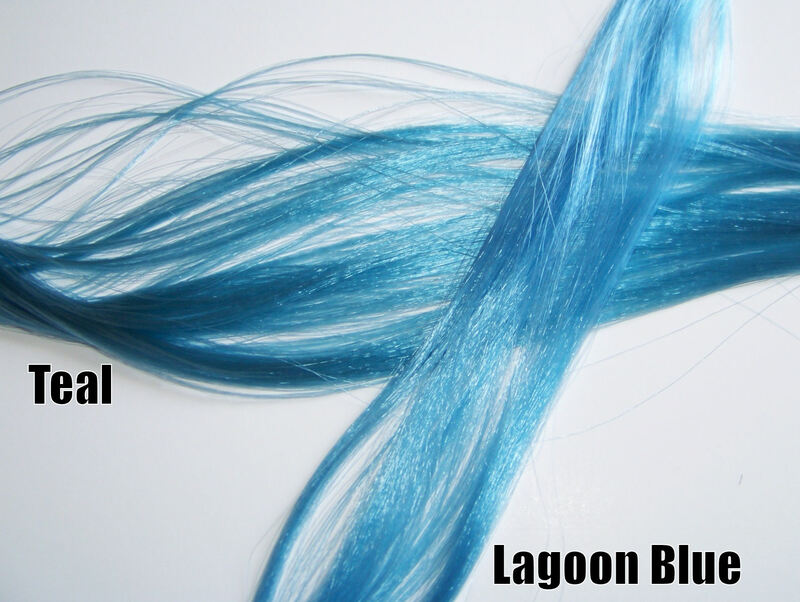 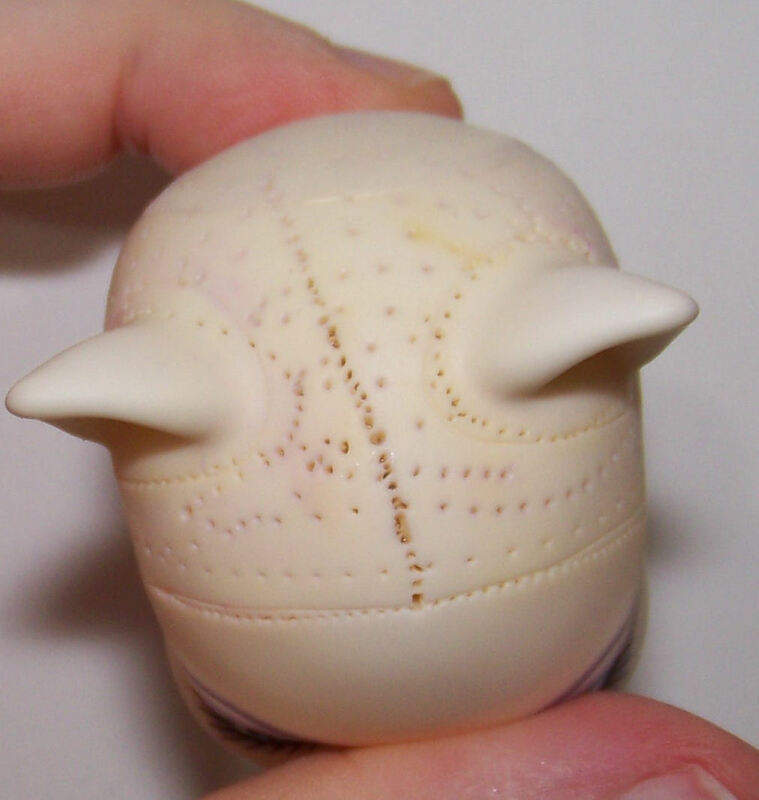 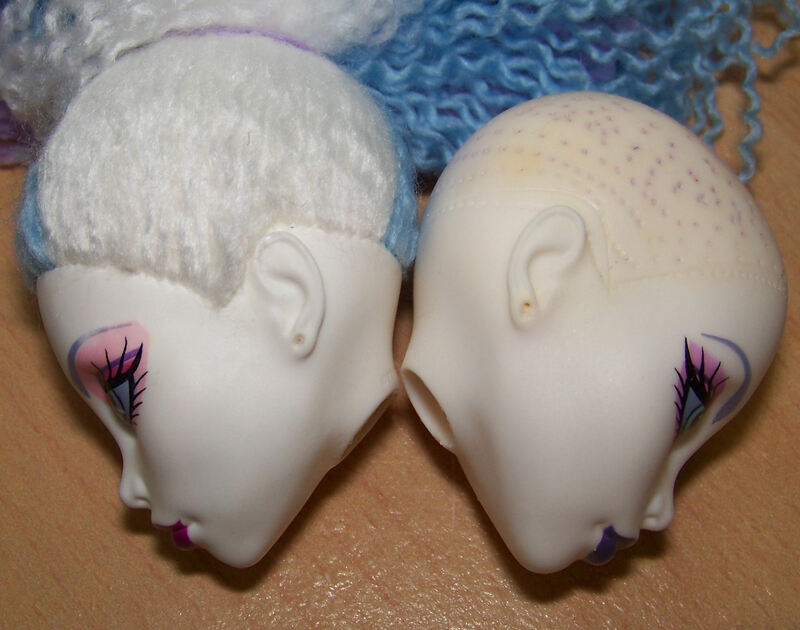 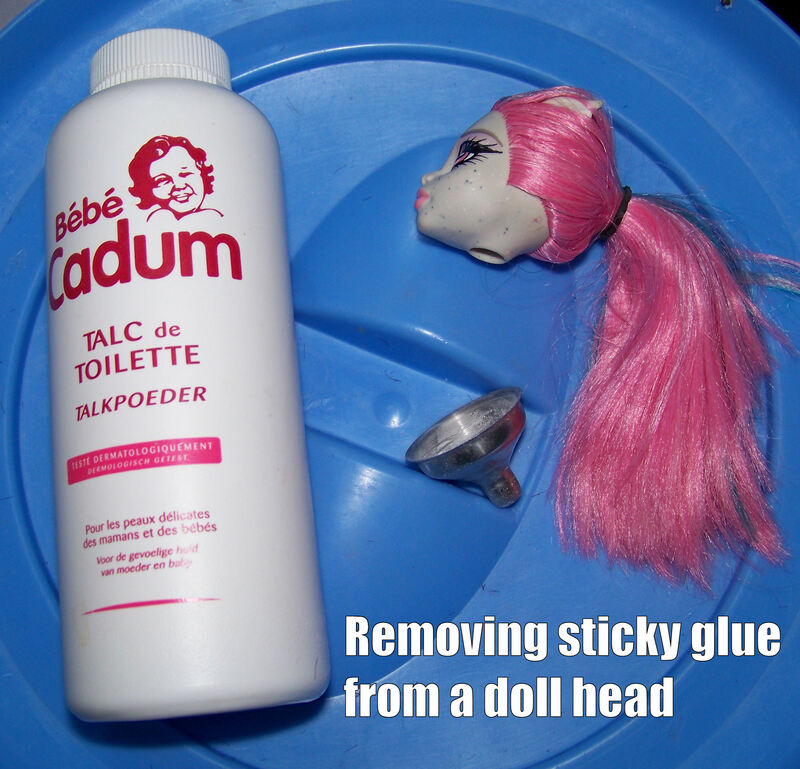 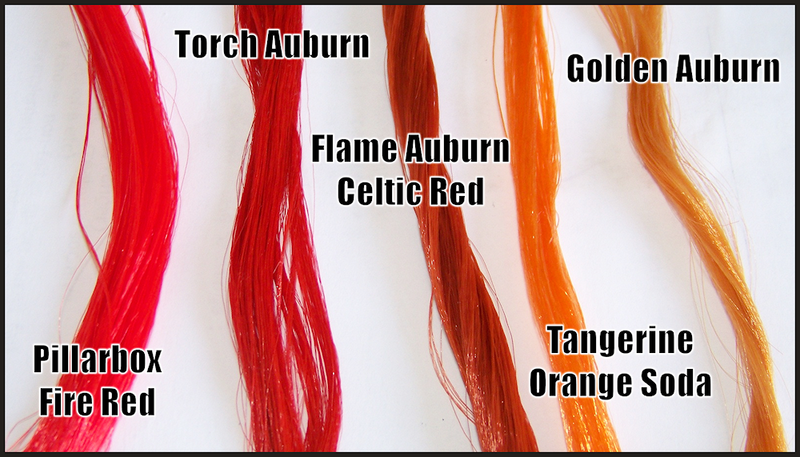 Froggystuff posted an excellent quick doll wig tutorial, see it here. 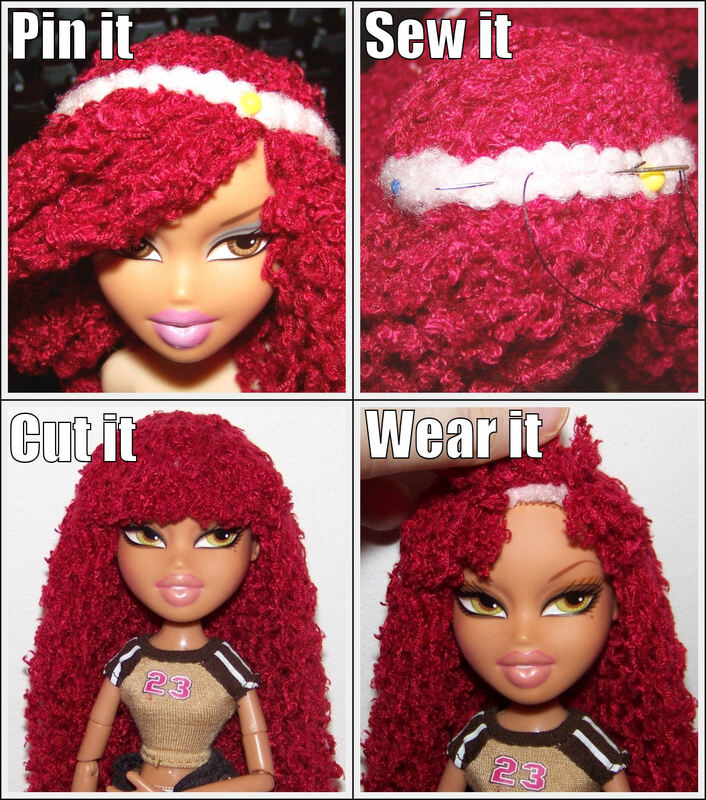 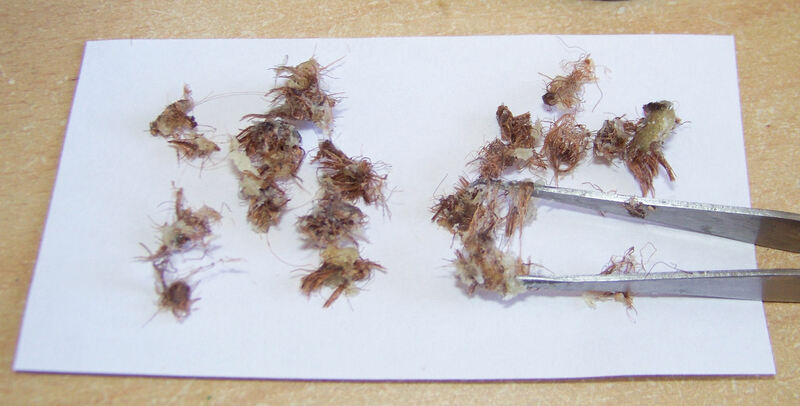 If the elastic is too long, cut it to size and sew the ends together roughly. 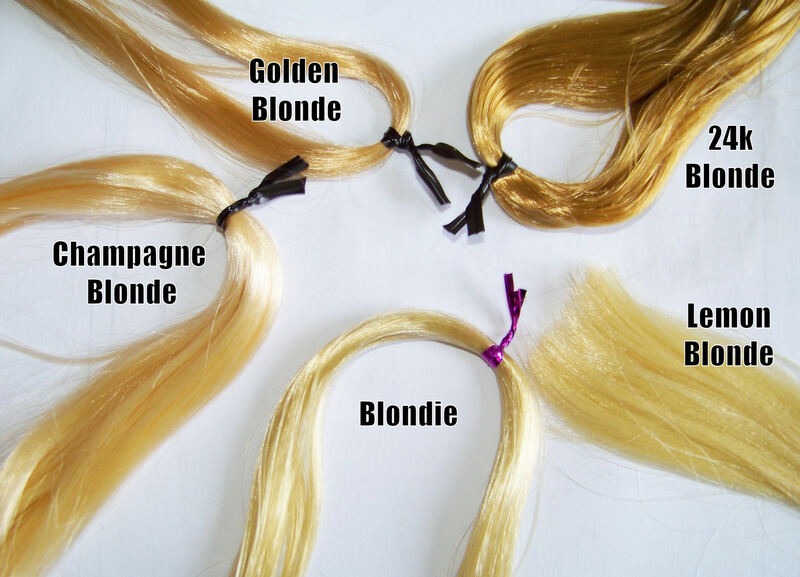 ¤ Cut a fringe (bangs) if the elastic is too visible. 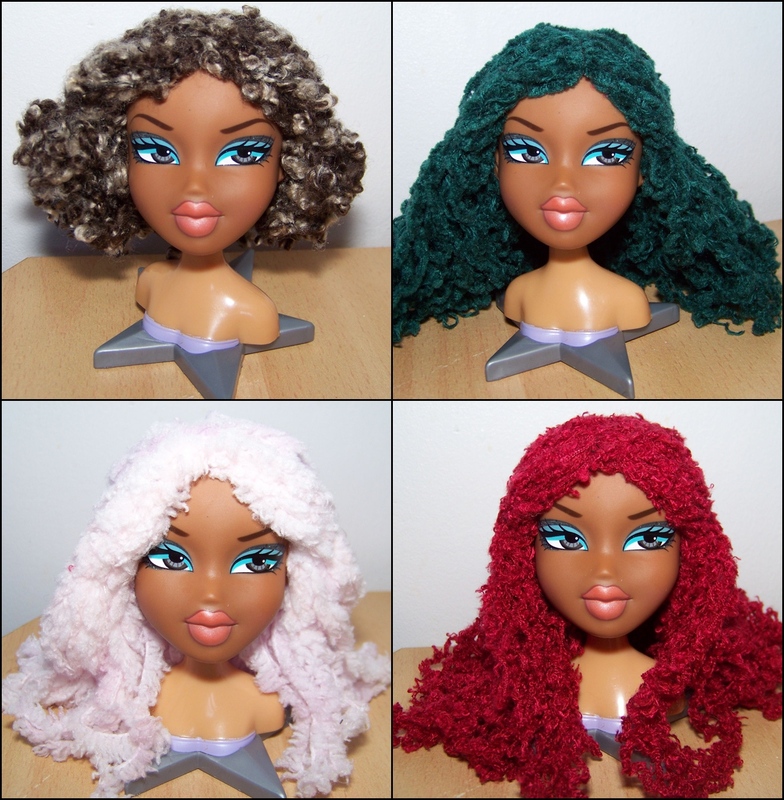 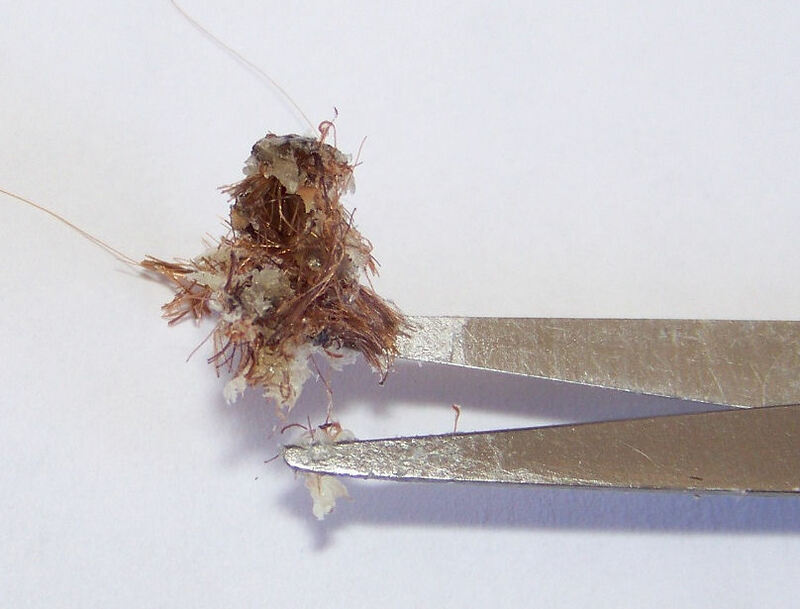 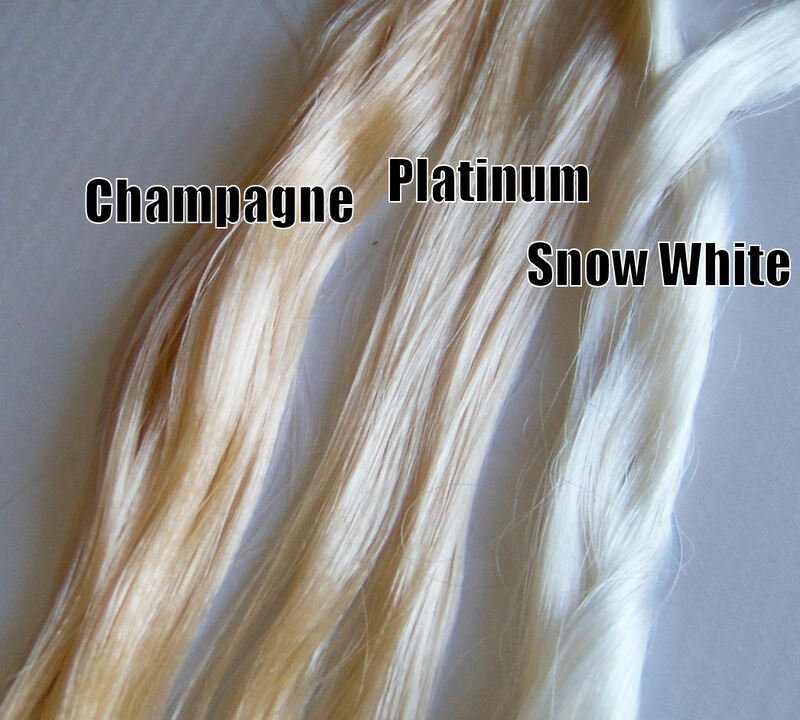 You now have a seamless wig that should hold nicely even when shaken! 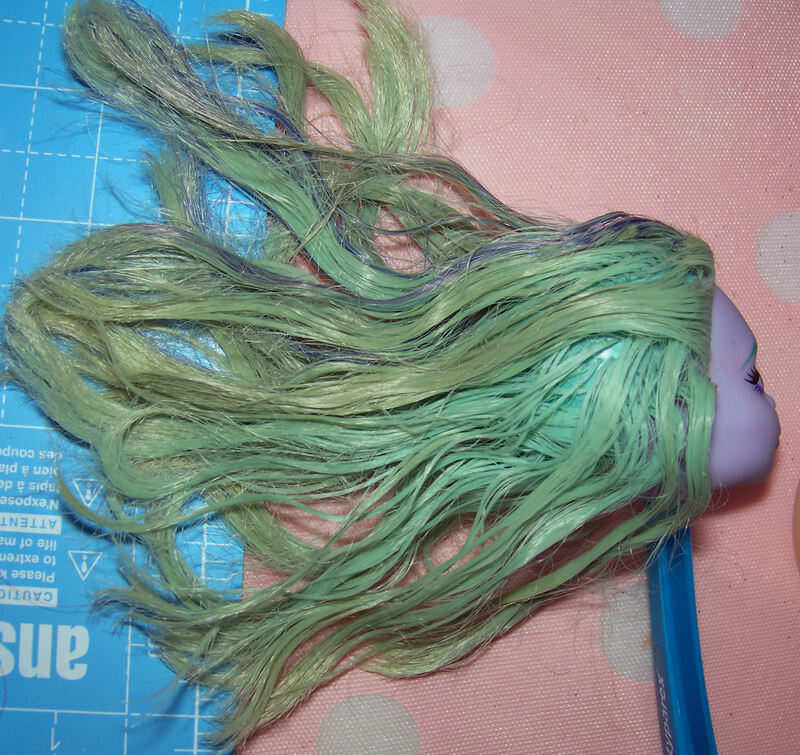 This entry was posted in Tutorials and tagged barbie, bratz, craft, hair, wig on October 11, 2012 by saffy.